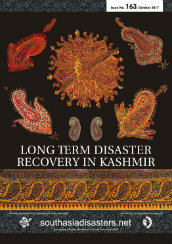 In September 2014, intense flooding in India's Jammu and Kashmir, as well as Azad Kashmir, Gilgit-Baltistan and Punjab in Pakistan, killed hundreds, caused tens of thousands of people to be evacuated, and affected over 2,000 villages. Greater Kashmir Communications Pvt. Ltd.